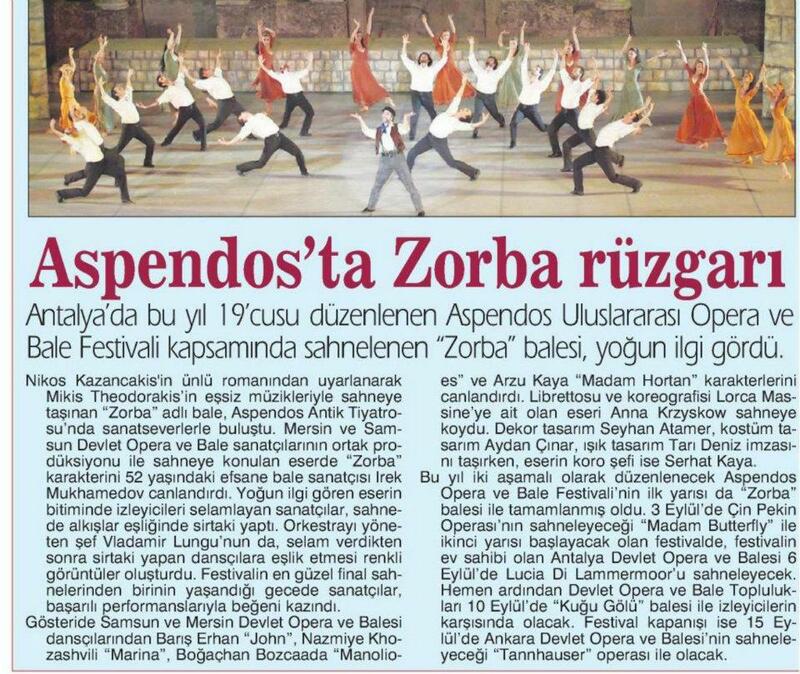 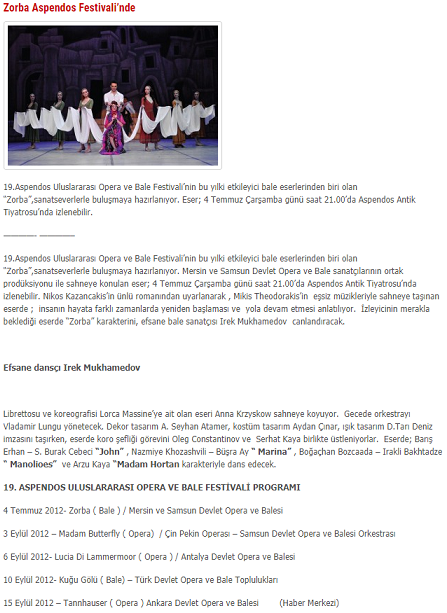 – On 5 july 2012,Vladimir Lungu participated at the 19-th edition of Aspendos International Opera and Ballet Festival. 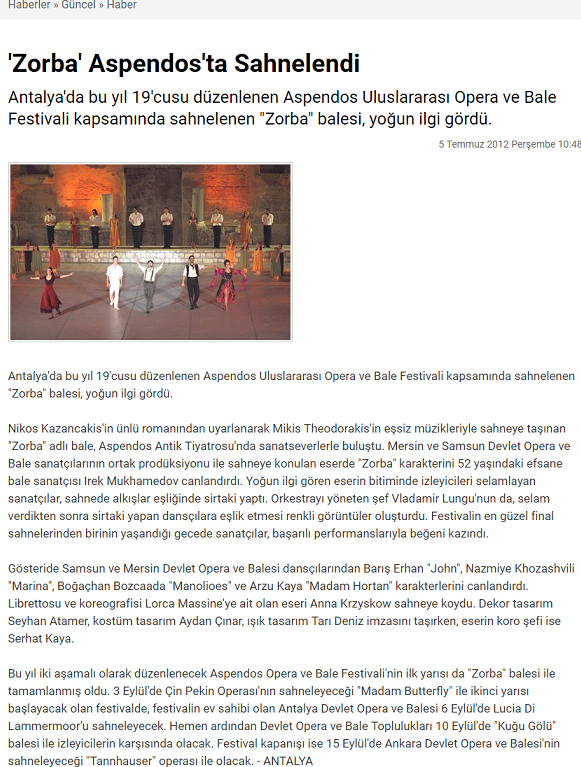 He successfully conducted “Zorbas” ballet, by greek composer M.Theodorakis, in coproduction with Mersin and Samsun State Opera Houses. 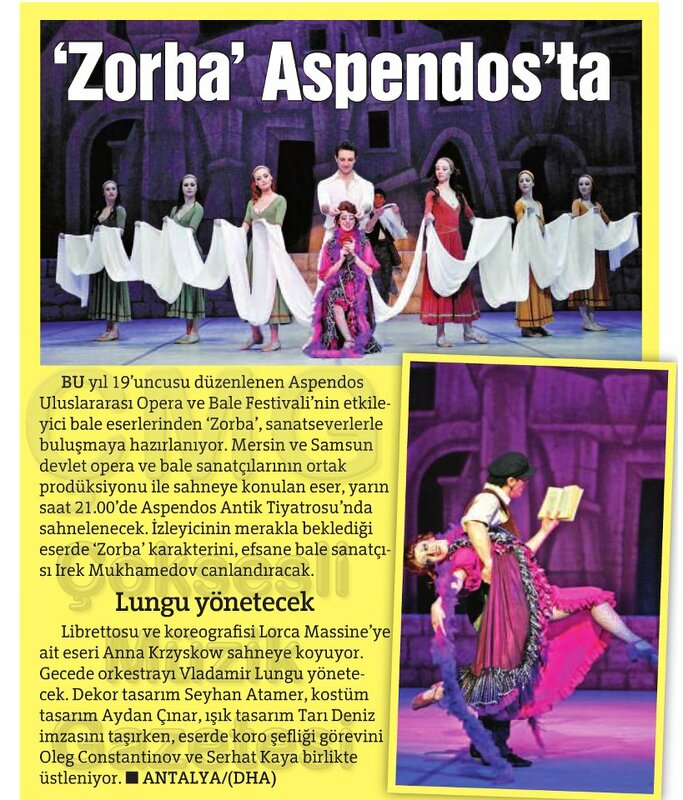 The”Zorba”role was performed by legendary star Irek Mukhamedov.